Fetal Alcohol Spectrum Disorders (FASD) is an umbrella term describing the range of effects that occur in an individual prenatally exposed to alcohol. Center for Family Strengthening promotes a local culture that supports women in their efforts to abstain from alcohol, tobacco or other harmful substances during pregnancy. Our vision is a San Luis Obispo County community where every child is born free of the effects of prenatal exposure to alcohol, tobacco or other harmful substances. 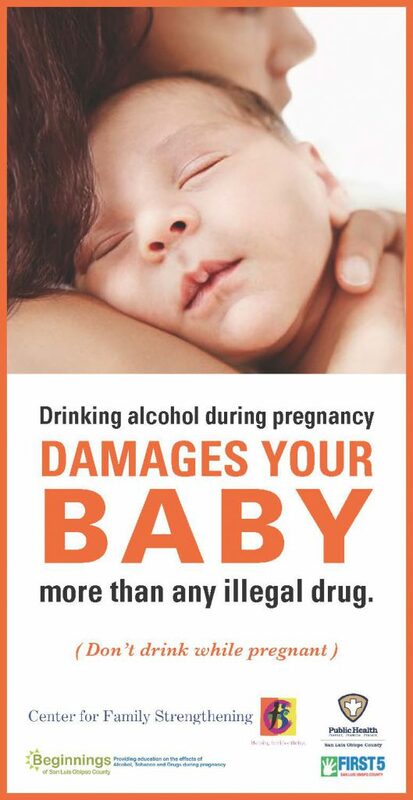 Alcohol used during pregnancy can result in FASD. An estimated 40,000 newborns each year are affected by FAS, Fetal Alcohol Syndrome, or have FASD, Fetal Alcohol Spectrum Disorders, with damage ranging from major to subtle. 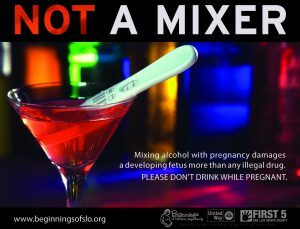 FASD Prevention efforts include raising community awareness about the benefits of healthy pregnancy and the consequences of prenatal exposure to alcohol, tobacco or other harmful substances.